Is Hellebore Poisonous to Cats? Hellebore and cats are a no-go. If you're petrified about the idea of your precious kitty eating or chewing on a poisonous plant, you have valid reason to be. Even if a flowering plant in your garden looks as pretty as a picture, that won't stop it from triggering potentially very negative symptoms in your cat. According to the ASPCA, hellebore is indeed poisonous to cats. The plant is not only toxic to felines, but also to dogs and horses. Hellebore's toxicity is due to a variety of key components, which are protoanemonin, veratrin, glycosides and bufadienolides. All of these factors contribute to the toxicity of hellebore in cats, so always keep your eyes open for them. Hellebore doesn't go exclusively by that one name. Knowing all of the names for the plant may be very useful in preventing dangerous problems with your cat in the future. The plant also goes by Easter rose, Lenten rose and Christmas rose, so make a mental note of all of them! If you are concerned that your precious pet may be experiencing poisoning due to hellebore, pay attention to key symptoms, including depressive mood, colic, frequent and watery stools, stomachache, excessive salivation, throwing up, lethargy and exhaustion. If your cat exhibits even one of these symptoms, it's crucial to seek emergency veterinary attention for her -- no dillydallying. Some knowledge about the evergreen may be a useful safety measure. These plants typically reach about a foot in height and possess hanging, fully white flowers and deep green foliage. The roots are an especially dark color, virtually black. If you happen upon any plant that even remotely fits this description, keep your kitty far, far away from it. The more you know about plant toxicity, the better not only for your cat, but you too. Hellebore certainly isn't the only villain in the garden. A wide array of both everyday and unusual plants can be potentially dangerous to your cat, whether honeysuckle, Easter lily, calla lily, primrose, wisteria, poinsettia, daffodil and many, many others. Knowledge is power, so go and get it. 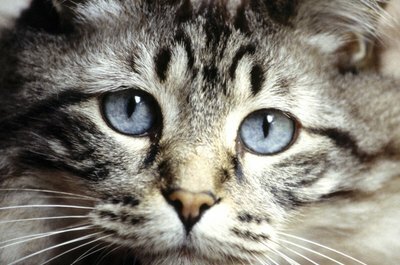 Are Roses Harmful to Cats? Are Bamboo Plants Poisonous to Pets? Is a Money Tree Plant Toxic to Cats? 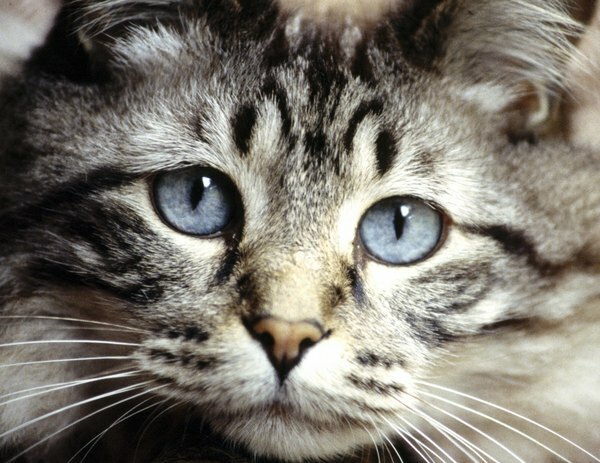 Is Primrose Poisonous to Cats? Is Periwinkle Poisonous to Cats? Are Paper Whites Poisonous to Cats? Is Bougainvillea Poisonous to Dogs? Are Tomato Vines Safe for Cats?